Raised in Hong Kong, Kim moved to Canada at the age of 16 with his family. Working primarily in ink, he is an accomplished artist. For each of his works, he translates a page from a magazine or book into his artistic version of characters. He has created works on paper, Plexiglass and ceramics. Kim’s work is very popular and many of his pieces have been sold. 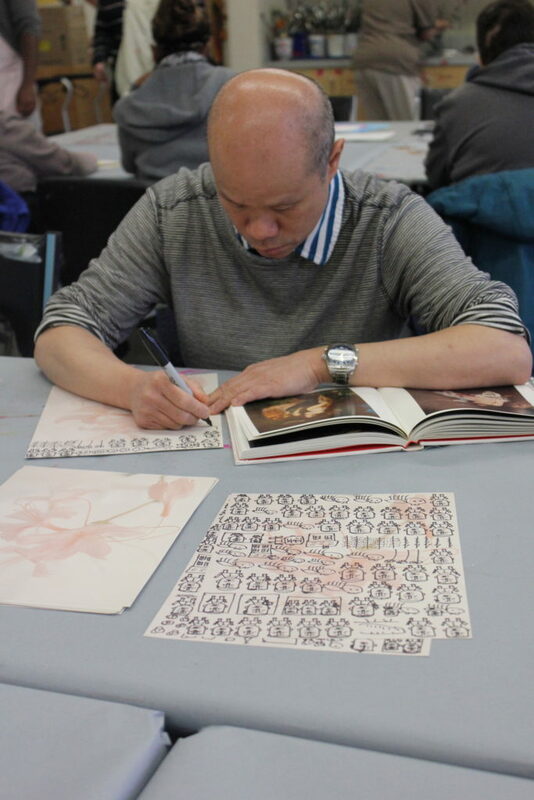 Recently, his art was featured in the exhibit Rosetta, in downtown Edmonton.